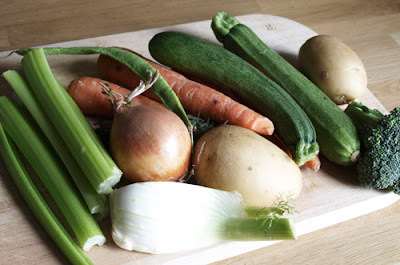 Summer is not really a time I associate with soup, however, it has been rather chilly recently and as I was going away for a few days, I realised I needed to use up the vegetables that I had received in my Farmison Vegetable Box. 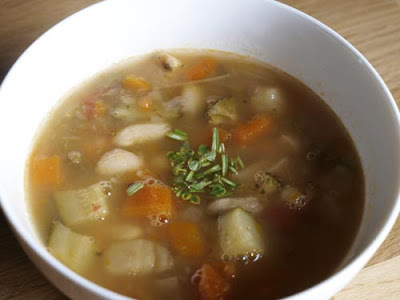 Soup is the perfect vehicle for any kind of vegetables and with some beans added it makes a the soup into a meal. So here are the vegetables: celery; carrots, onion, quarter of a fennel bulb; 2 courgettes, 2 potatoes and about a third of a head of broccoli. It doesn't matter what you have although onion and carrots are always a good base. Oh and there was on runner bean that had escaped me when I cooked those the other day, so that went in too. 2. Add the chopped courgettes, broccoli, tomatoes and canellini beans and cook for a further 10 minutes. 3. 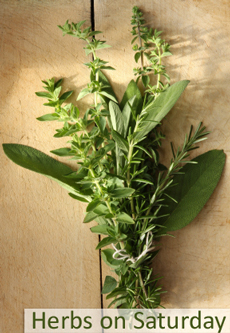 Remove the herb bundle, adjust seasoning and serve with a sprinkling of fresh chopped thyme and rosemary and some Granary Bread. I'm entering this soup for Karen's 'Herbs on Saturday' blog challenge, it was a really good tasty soup and the flavour of the herbs came through stongly without overpowering the flavours of the different vegetables. 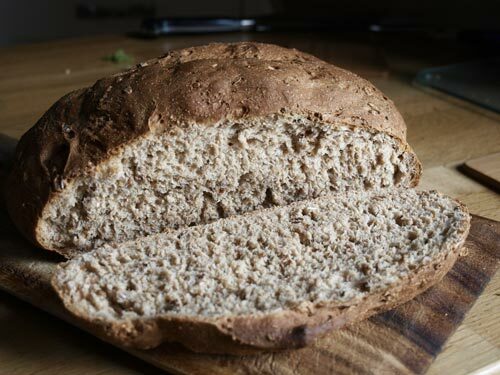 I put all of the ingredients into the bread maker on the dough setting, then shaped the dough onto a baking tray, left to rise again and baked for about 30 minutes at 200C. If you don't have a bread maker, follow the recipe on the Granary Flour packet. This soup looks so good - really fresh and light. And I've got to give the bread a try too!